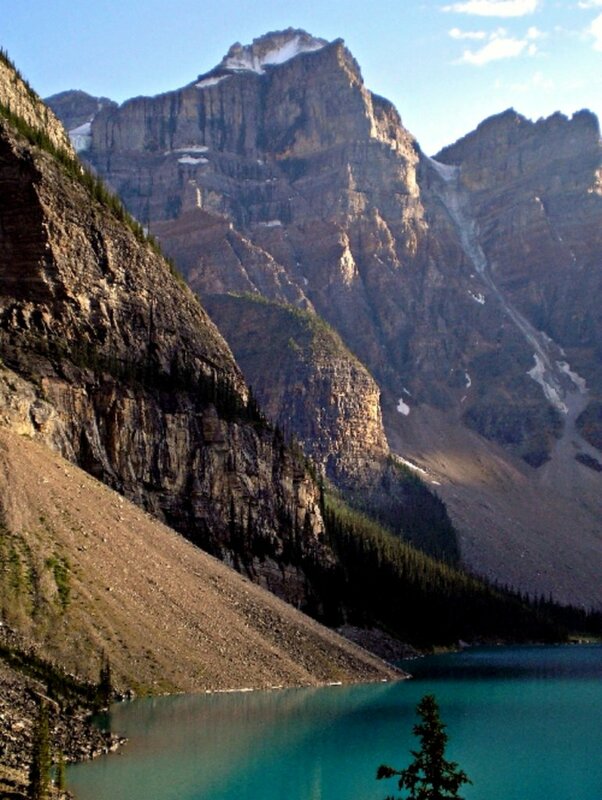 Mount Bowlen is located on the border of Alberta and British Columbia and forms part of the Valley of the Ten Peaks. It was named in 1953 after John J. Bowlen, a native of Prince Edward Island, successful Alberta rancher, honorary chief of the Blackfoot, and a Lieutenant Governor of Alberta. Its former name was "Yamnee", which translates to the number 3 in the local Nakoda (Stoney) language. Do you have photos of Mount Bowlen or know something about it? Please let us know!